It was a wet Friday afternoon as I entered the Kiwanis Hall at Taman SEA, Petaling Jaya where representatives from the Title Sponsor Allianz Malaysia Berhad, the Event Organiser Pacesetters Athletic Club (PAC) members, the Charity Partner Kiwanis Down Syndrome Foundation (KDSF) National Centre & Members of the Media had gathered for the 2nd Edition of the Allianz Pacesetters 4 x 3km 2015 Press Conference (PC). The short video of last year’s relay run showed alot of happy runners having a good time. The PC Opening Address was presented by Mr. Wan Yew Leong (President of the PAC), and he explained to the audience the reasons why a relay event is a fun & exciting running format. Wan Yew Leong’s rendition of “I did it 30 years ago”. He added that with the mushrooming of many local running clubs & groups, a relay event is an ideal way for runners to work together as a team & compete against other running groups and/or just have a fun chilling-out with fellow runners. Furthermore, Mr. Wan pointed out that under the special donation Kiwanis Pace It Forward category, a total of 50 teams took part in their inaugural event in 2014, from which a commendable RM54,600 was raised and donated to their charity partner, KDSF. This year, PAC aims to raise more money by setting a higher target of 70 teams under the donation category. Interestingly enough, Mr. Wan’s relationship with the international organisation of Kiwanis started 30 years ago, and he did admit that while participating in Kiwanis Treasure Hunts, he did take notes on how they organised such an event which helped him later in organising his own events. Next, the audience was introduced to En. 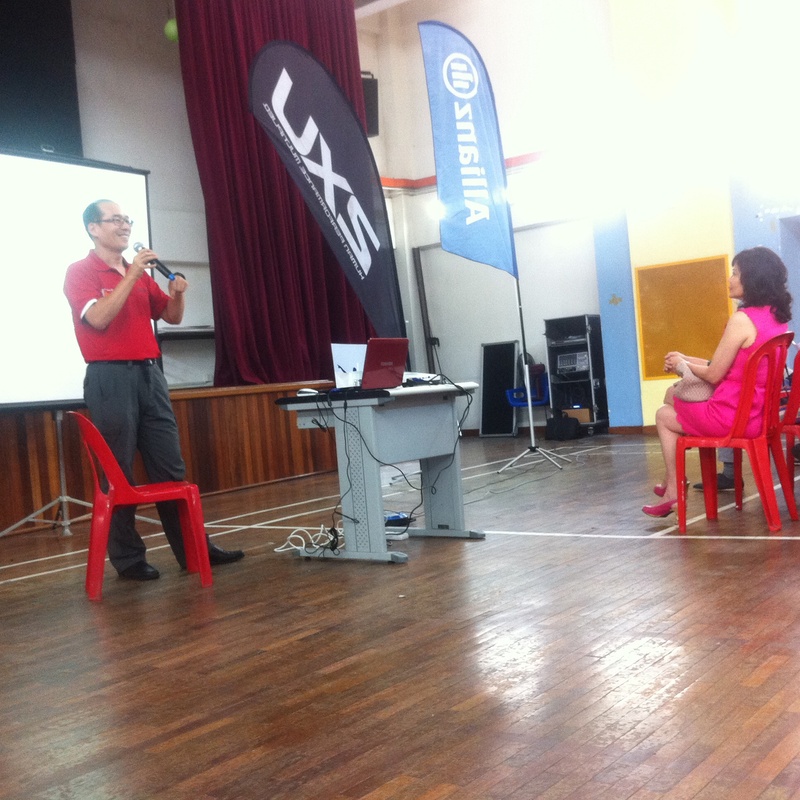 Zakri Khir who is the CEO of Allianz Malaysia Berhad. En. Zakri Khir is a down-to-earth gentleman, and he presented his speech about Allianz’s intentions as the Main Sponsor, concisely & eloquently. En. 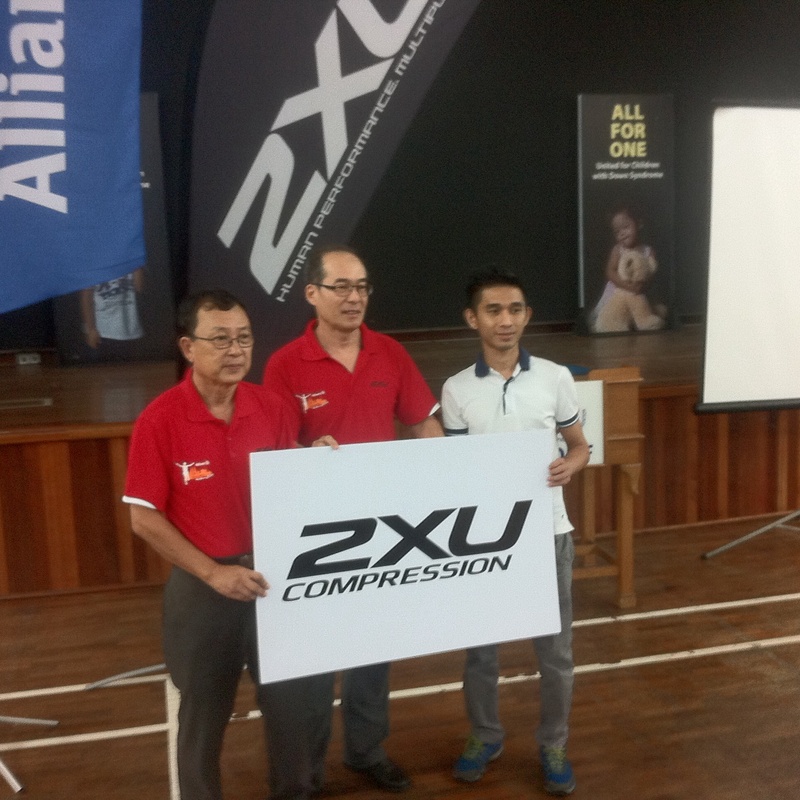 Zakri said, “We are looking forward for many to participate in this 4x3km run as it is not only an interesting relay race that promotes a healthy lifestyle, but it is also for a good cause. Through this, we also hope that Down Syndrome will get the awareness it deserves”. 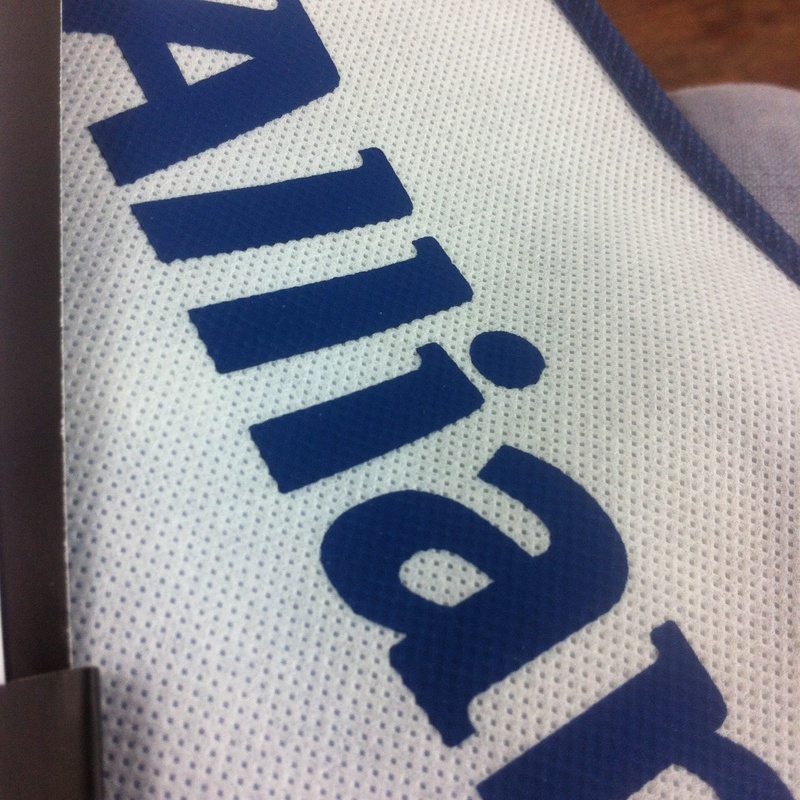 Incidentally, Allianz has been sponsoring the Penang Bridge International Marathon for 3 years until 2014. 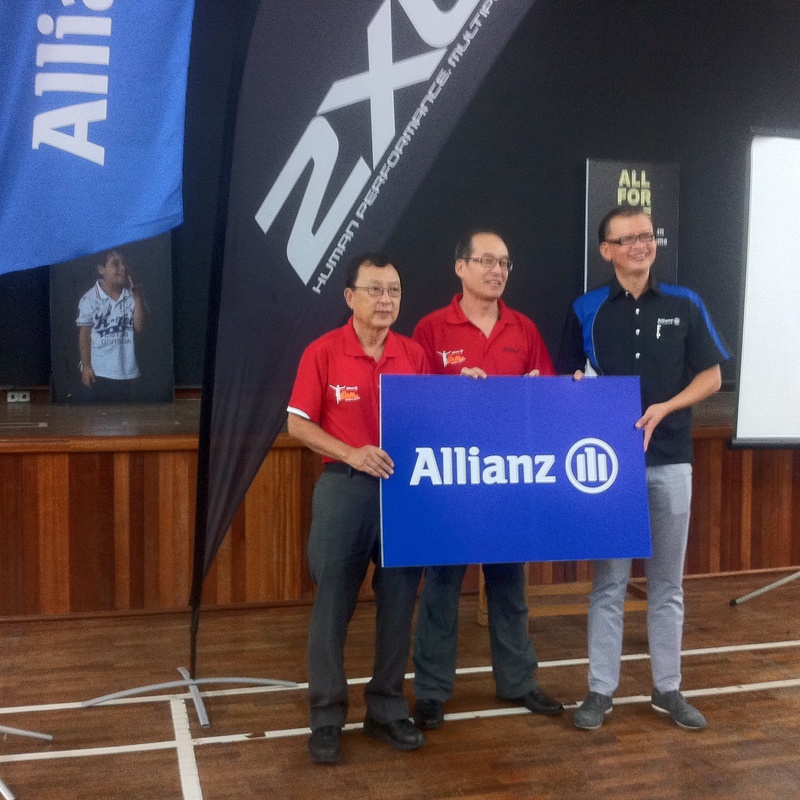 Thereafter, Allianz decided to sponsor their own running events such as this one and their first Allianz Pacer Run on 6th December 2015 at Putrajaya which has a 12km & 6km category. All 4,000 slots have sold-out. Two years ago, Allianz Malaysia initiated a Running Community programme known as the Allianz Pacer Running Community, built on social media tools, to encourage more people to start running for a healthier lifestyle.  For category A & B, Pacesetters member team enjoy discount rate of RM160 per team. All 4 team members must have valid membership expiring December 2015 and later. 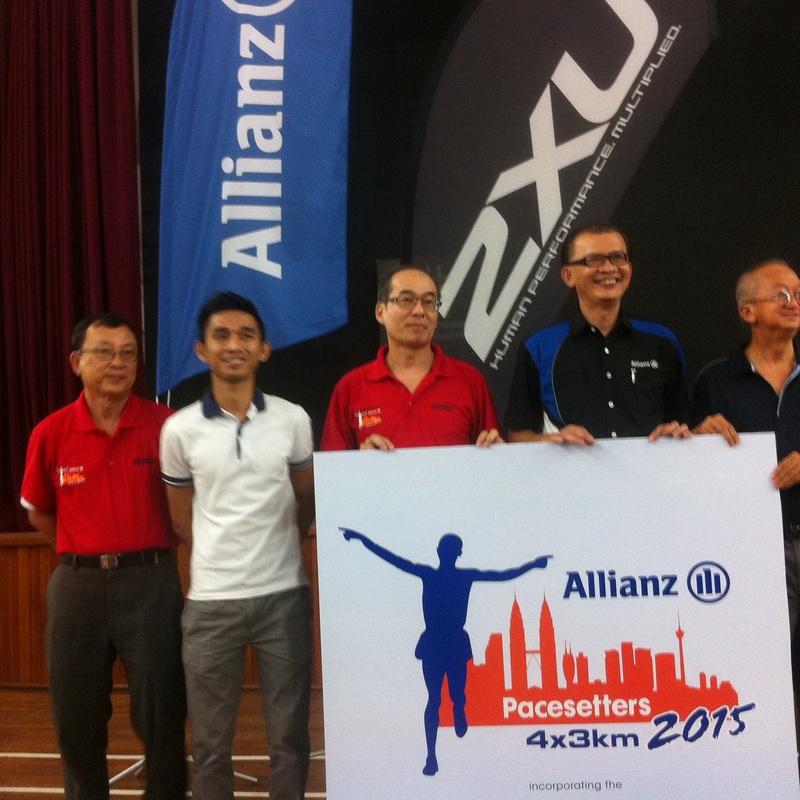 To register for Allianz Pacesetters 4x3km 2015, click here. 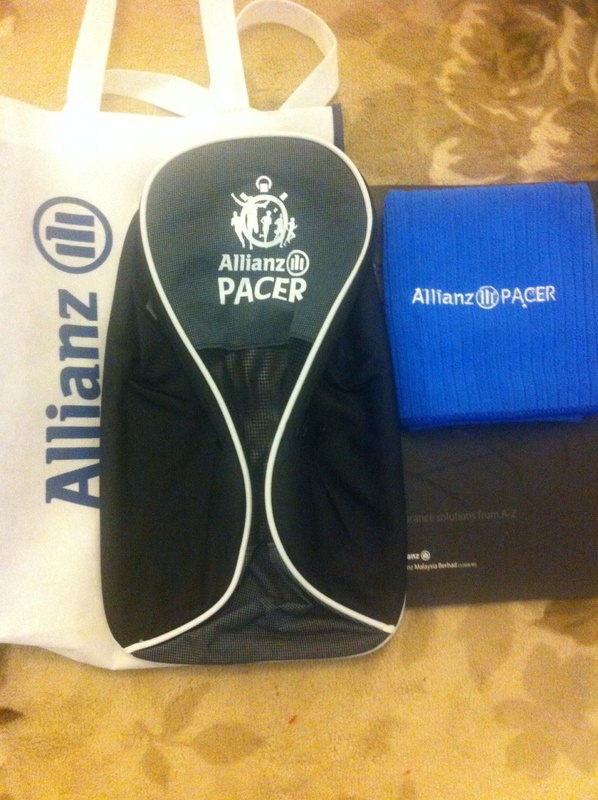 To connect with Allianz Pacer Running Community, click here. HAPPY RUNNER’S VERDICT You can expect a well-organised, fun-packed & value-for-money event which is ideal to promote team bonding & for a good cause too! What else are you waiting for? Start forming your relay teams & sign-up now! 1. Happy Runner’s views expressed herein are personal, and they are accurate to the best of his knowledge unless otherwise implicitly stated. 2. Always read and understand fully all of the Event Terms & Conditions on the official event website BEFORE registering for any running events. For more, “Running News That Matters”, follow Happy Runner.